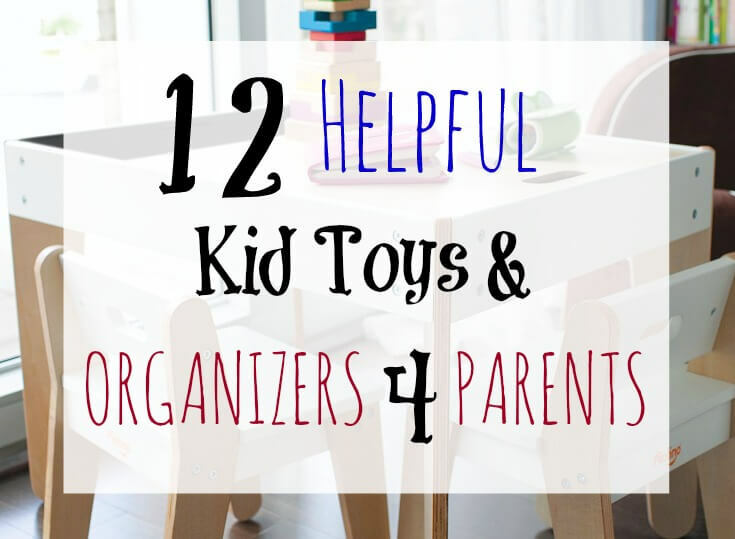 This list of 12 Helpful Kid Toys and Organizers for Parents is special. As a Certified Teacher in Early Childhood Education, I love how these products tap into brain development, gross motor, creative play, and more. This list features some of the newest products on the market created by some truly innovative small business owners who are also parents. If you’re looking for innovative solutions to keep kid’s messes at bay, keep them learning, and keep them active, you will love this list. The Cibo Placemat features a catch-all pocket that hangs over the table to make mealtime a lot easier and catch your little one’s crumbs and spills. It sports a cute face theme and comes in a variety of colors. 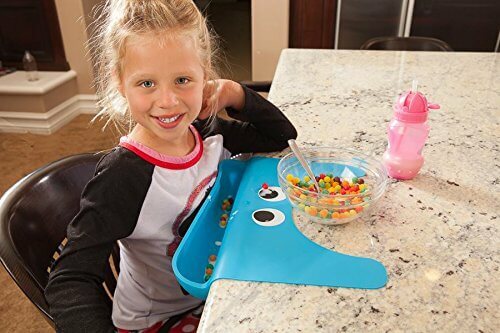 Although the placemat was invented to protect the kid’s clothing and the floor during mealtime, it’s also great for arts and crafts or various other activities. It can be used at home or on the go. You can easily roll up the Cibo to take it along to restaurants, grandma’s house, or on vacation. This Cibo placemat is the perfect solution for your little mess makers. It also makes a great and unique gift for any occasion. The Cibo is safe and clean. It is constructed of 100% Nontoxic food grade silicone material as well as BPA, PVC, Led and Phthalate free, with no harmful dyes used. The Cibo can easily be rinsed off or simply wiped clean. For tougher jobs, you can also place it on the top shelf of your dishwasher. Jaxx 2.5 Ft. Lounger – Kids love furniture made just for them. Right-sized furniture promotes alignment and comfort for kids. 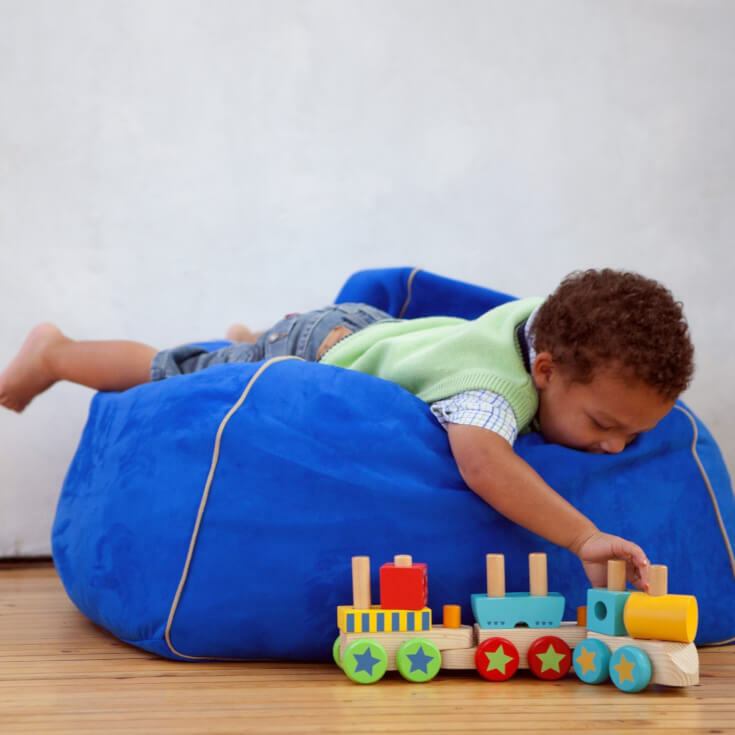 This 2.5 Foot bean bag chair for children features a machine-washable cover and moisture-resistant nylon inner liner. 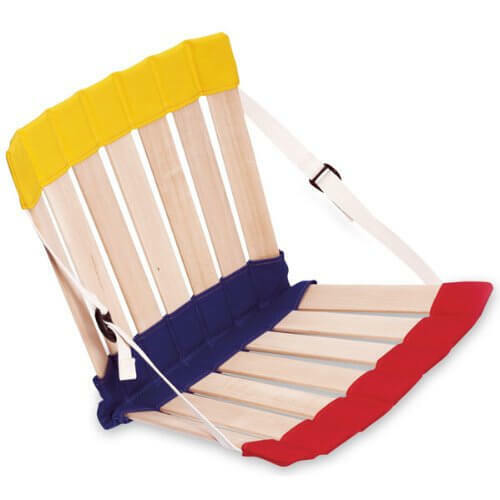 Perfect for a children’s playroom, this miniature lounger gives kids a level of comfort designed specifically for them. The 2.5’ Lounger is filled with finely shredded polyurethane foam and covered in soft yet durable microsuede. The cover is both removable and machine washable and the protective inner-liners childproof zipper keeps the filling out of reach during cleaning. Want to mesmerize kids with a transforming ball? Assemble and roll! 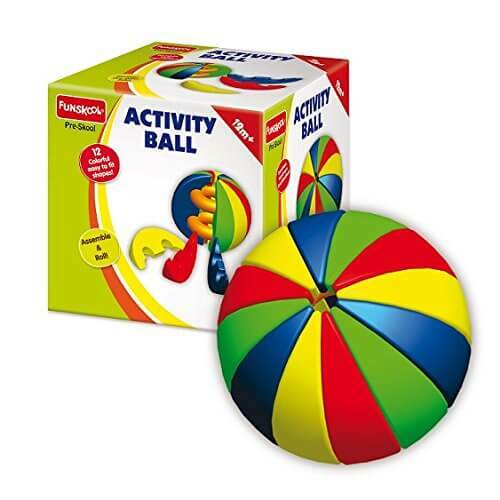 This Funskool Activity Ball has 12 segments- when combined forms a colorful ball! Helps young children develop: counting, color recognition, hand-eye coordination, and motor skills. Plus its so much fun! Your little one will love taking apart and putting this ball back together. PL-UG Build Your Own Fort Kit. 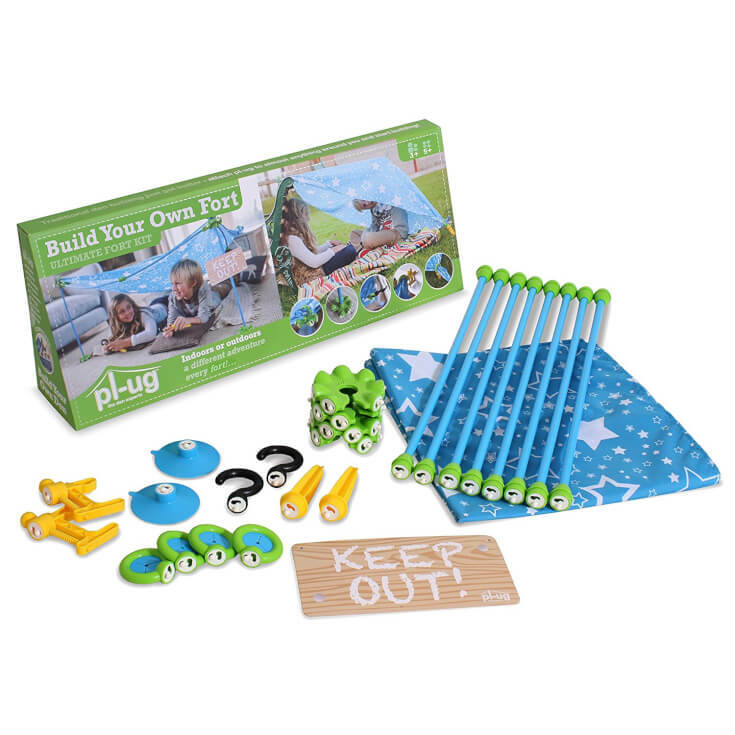 This kit is an incredibly clever concept that allows children to build almost any den they imagine. All PL-UG components are designed to connect together, and be attached to different objects around the house or garden such as tables, chairs, and trees. Once you have a structure, all you then need to do is secure a sheet over the top and put your ‘keep out’ sign on the door! Cradles, contains, and calms! The cozy feeling of the HowdaHUG‘ “embrace” provides deep sensory input contributing to the ability to stay focused for longer periods. Ideal for students with sensory integration disorders, autism, ADD, ADHD, and Down’s syndrome. The “HUG” promotes balance and core strength, while providing security and firm, physical contact. Cushioned bottom hinge for wear protection and softer rocking and sitting in the classroom. Adjustable straps can be tightened to create a better “hug” or loosened for growing students. Lightweight and easy to carry and store, just roll up and tuck under your arm. Water and stain resistant, flexible wooden slats with rugged canvas. All 100% cotton canvas, environmentally safe, and lab tested. Fits ages 5-7 and small adults up to 70 lbs. Designed to fit a taller and thinner individual. Multicolored canvas. ZoomART Portable Creative Kit – The ZoomART Space Magic insert is a fabulous creative kit for on-the-go! Boys and girls will love the activities in space with aliens, rocket ships, and planets. Each ZoomART features illustrations and activities by different featured artists. The kits can be used alone or set into the ZoomKIT travel table. 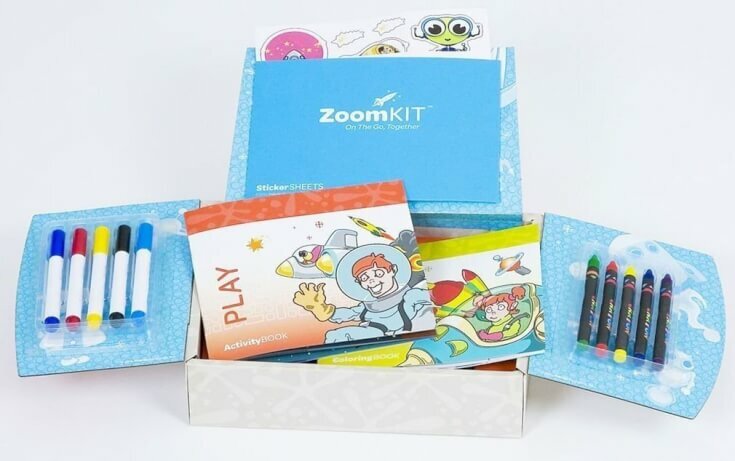 ZoomART includes a built-in dry erase board, a reusable dry erase activity book with mazes, dot-to-dots, and matching games, a coloring book and both dry eraser pens and crayons with easy use holders. Easily move from car to restaurant and back home. ZoomART kits are the perfect solution for keeping kids engaged, entertained and learning while on the go! Keep several ZoomART and fill-it-yourself ZoomIN inserts on hand to keep your child busy in all those mobile, travel and waiting situations! 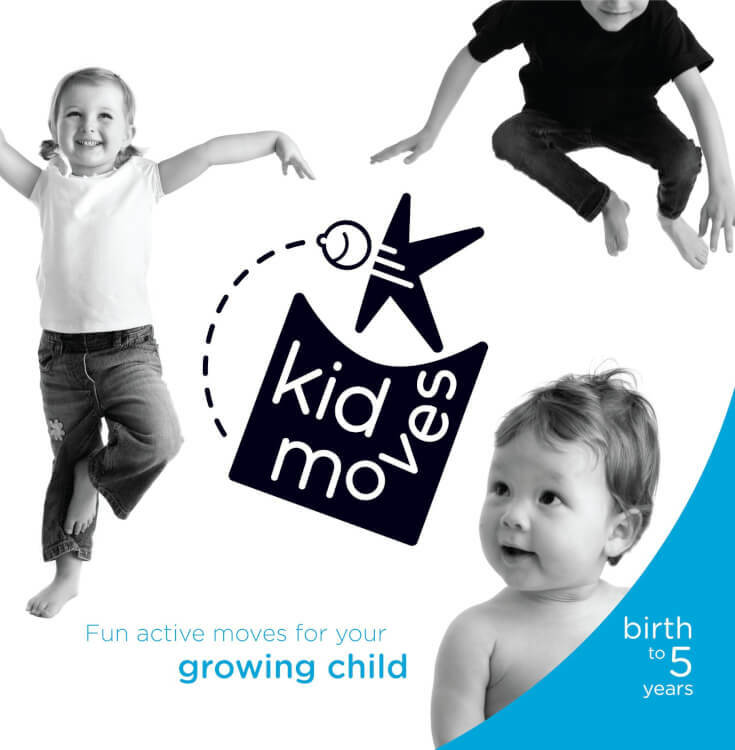 Kid Moves Fun active moves for your growing child: This unique 3-book series introduces movement as an early reader for babies, toddlers, and preschoolers. Easy and fun, the interactive “read & do” board books encourage brain and body development in children from birth to 5 years. 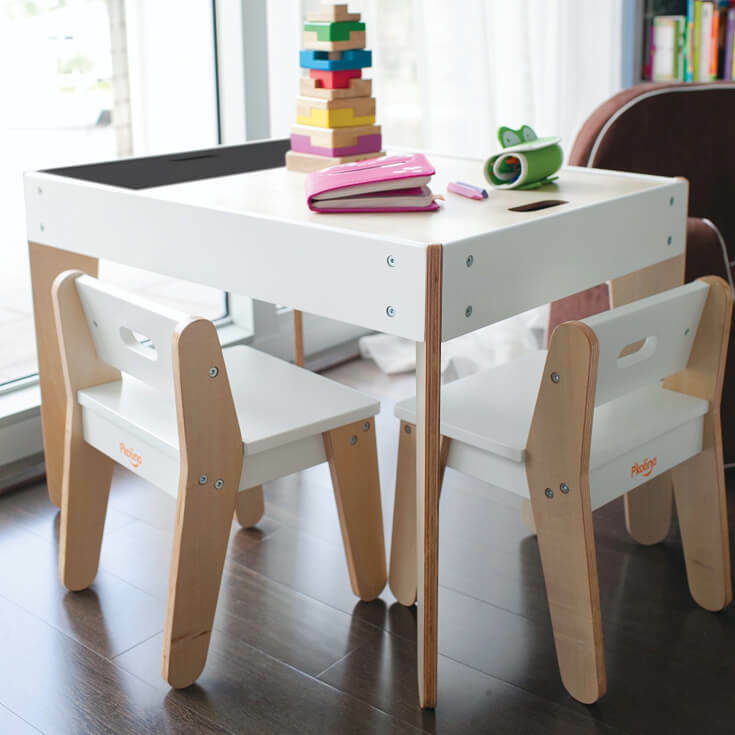 P’kolino Little Modern Table and Chairs – An incredibly innovative Children’s Table and Chair Set! Loaded with Style and Functionality. This beautiful little table may just have it all!.Versatile and abundant storage, child-driven design features, style and ease of use. The reversible table top has a chalkboard on one side and beautiful natural wood on the other. The table’s split-top design enables easy access to the abundant under-the-table storage. 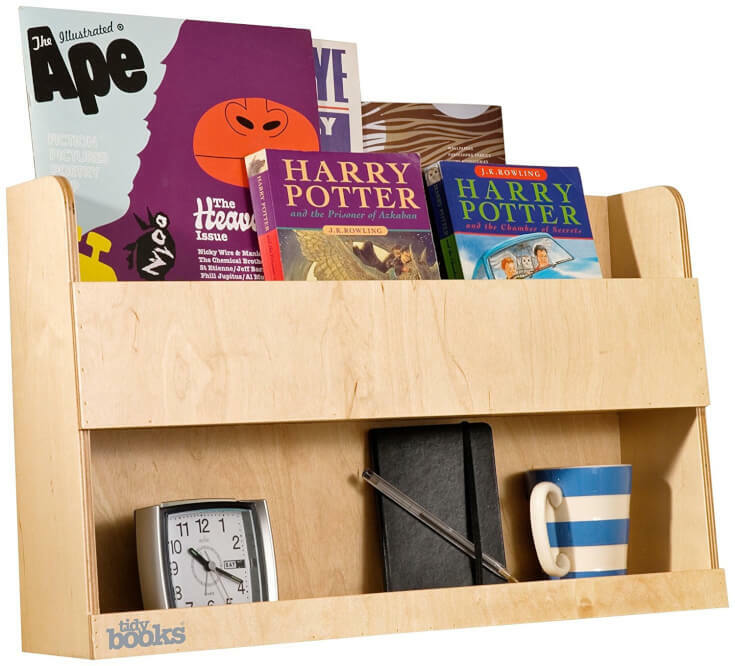 Tidy Books Bunk Bed Buddy – Make your child’s top bunk feel welcoming with the Bunk Bed Buddy bedside shelf. Keep bedtime drinks, favorite books and alarm clock safe and within reach when your child sleeps in the top bunk bed. Lipped shelves hold children’s whatnots securely meaning no more falls and spills. An original design, by a mom, the Bunk Bed Buddy is top-notch storage to go beside bunk beds and cabin beds. Stylish design with slim profile saves space. Not just for bunk beds, the Bunk Bed Buddy is ideal bedside storage for smaller spaces, when a nightstand is too bulky. Made from sustainable plywood, not MDF, this storage shelf is both strong and light. Finished in our pioneering water lacquer which is safe for children, and better for the environment. The perfect companion for kids who sleep in the top bunk. 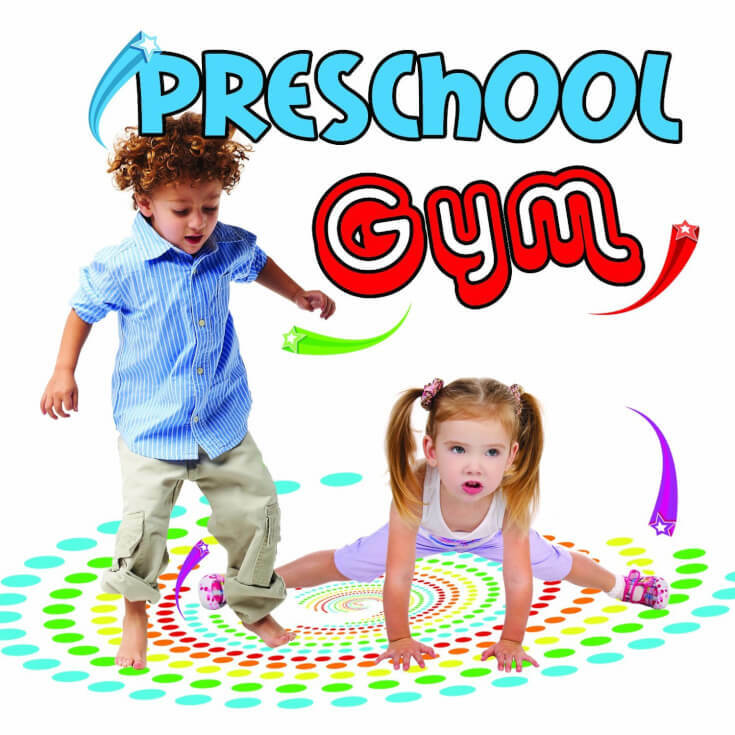 Preschool Gym CD – Making fitness fun for 3-5-year-olds. Even active preschoolers need daily structured healthy exercise. Make exercise for young children playful and fun; you’ll capture their imagination, and they’ll never be bored. Age-appropriate movements on Preschool Gym include stretches, dances, gross and fine motor activities, creative movement, and marches. The variety of action songs will help develop healthy bones, muscles, and joints and increase body strength. Motivate young kids with the beat of the music and these creative exercise routines, and cut down on too many long hours in front of the TV and computer screens. 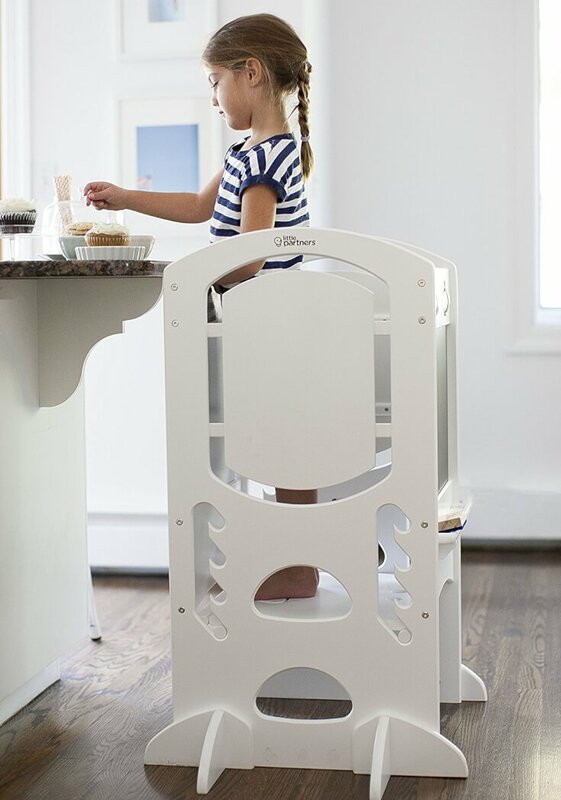 Little Partners’ Original Learning Tower is the only adjustable height kitchen step stool specifically designed to meet the needs of young children, 18 months and up. Constructed from the highest-quality layered birch, the Original Learning Tower nurtures a child’s innate desire to be independent and to participate alongside his or her parents and siblings. The wide, adjustable platform gives little one’s room to move and easily accommodates up to two children. Optional playhouse kits and an attachable easel extend the many ways kids can learn and play with the Original Learning Tower. The award-winning Tubby Table is the 1st and only bathtub activity table for toddlers. It gives kids a play surface in the middle of the tub, allowing the water to flow back into the tub instead of all over the floor. 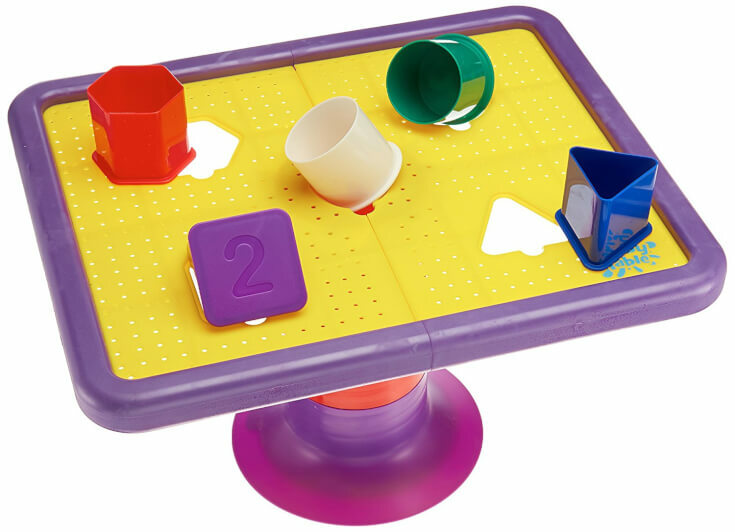 We integrated multi-colored and numbered shape cups to help reinforce key fine motor, cognitive and developmental skills. It also allows for siblings to play together and share their toys. 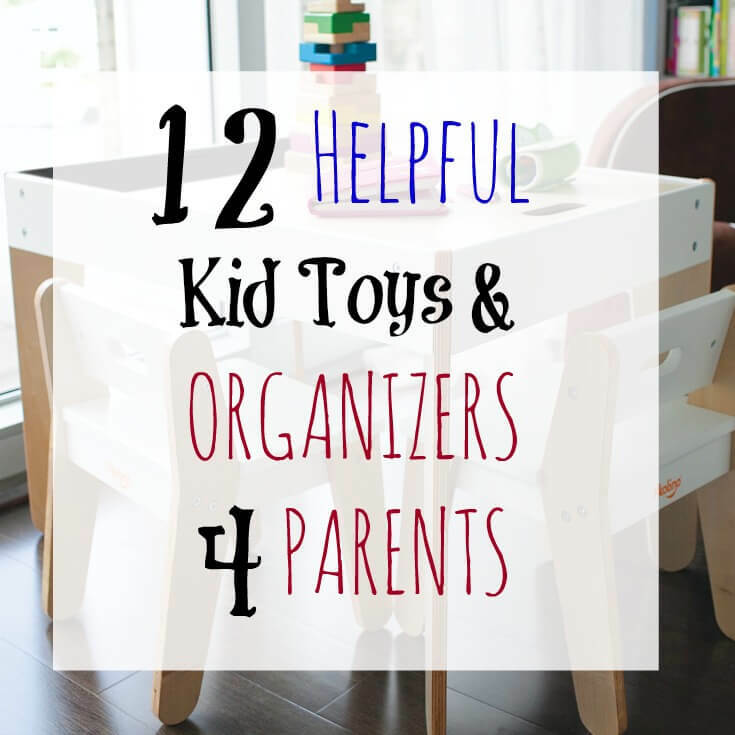 I hope this list inspires you with new ways to organize kid gear, teach preschoolers, or keep kids active at home. Are you online? I’d love to connect! Send me a note on Facebook and let me know what your kids love and your favorite kid products and organizers. I’d love to hear from you, and your comment gets posted so other readers of HappyandBlessedHome.com can see your thoughts and recommendations. Thanks for sharing and I’ll see you online! Thanks for being a fan! Do you have a board for your Parenting or Kid Toys on Pinterest? Help spread the word and PIN this post on Pinterest!